The PC, PlayStation 4, and Xbox One all allow gamers to record and broadcast gameplay online via Twitch, turning even single-player games into social experiences. Now the technology is coming to Android. 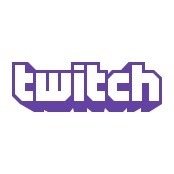 Today Twitch has announced the release of its mobile SDK, which game developers can use to provide players with functionality similar to that found on consoles. Mobile gamers will soon be able to share their mobile gaming experience with the rest of the Twitch community. This revelation begs the next question - will anyone care to watch others play mobile games? Judging by the number of Flappy Bird let's play videos there are on YouTube, I'm going to have to go with yes. In the meantime, you can watch other people play console and PC games by hitting up the Twitch Android app below.